I’ve really come to like the “Best American ____” series of books, though I typically go in for the non-fiction series’. Because of recently become much more interested in reading mystery genre books, I was hoping to broaden my reading by becoming quickly acquainted with some of the new mystery writers through a collection such as this. This particular collection is not one of my favorites. I struggled to get through this book and very few of the stories stands out to me. In fact this book challenged my understanding of what a mystery genre story is (or should be). I don’t know that I would have classified everything here as a mystery. This is neither good nor bad, except that I was expecting mysteries. My favorite story here was “Antarctica” by Laura van den Berg. Yes, being the last story in the book makes it the easiest to remember, but because it features the location of Antarctica (a place I’ve long wished to visit) and a subject of theatre (my profession), I held a special affinity for the story. I also enjoyed “Princess Anne” by Jim Allyn, which takes on a tone of a ‘typical’ mystery story. Patricia Engel’s “Aida” also caught my attention and was a worthy read. While this wasn’t my favorite collection in the “Best American” series, it certainly won’t stop me from checking new volumes. An individual editor’s taste can definitely set the tone for a collection such as this and the “Best American” series rotates their editors. Looking for a good book? 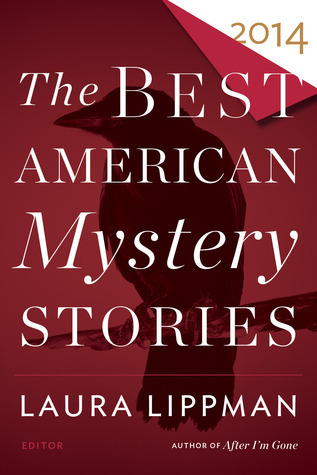 Best American Mystery Stories 2014 is not the strongest collection in the Best american Mystery Stories series, but it’s still worth a look if you’re looking to sample the mystery short-fiction market.